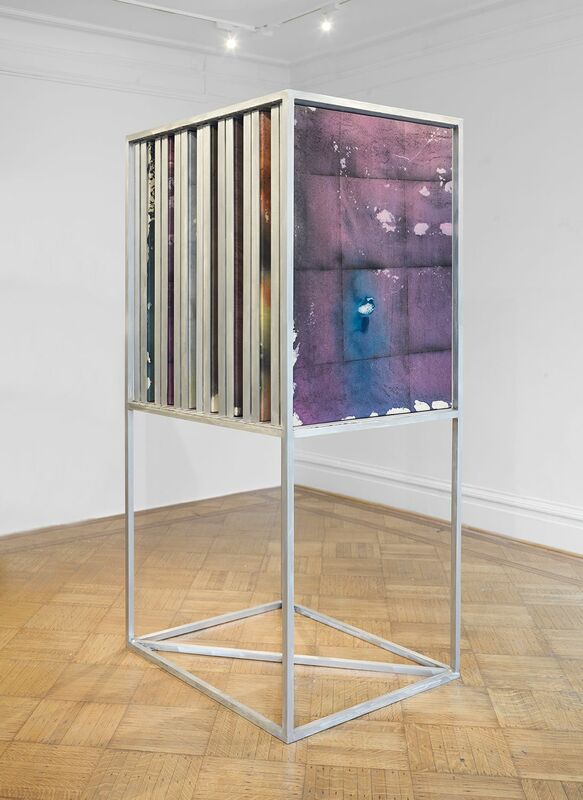 Robert Blumenthal Gallery is pleased to present 1X1, an exhibition of new work by Dean Levin. This is the artist’s debut solo show in New York. On view will be an interactive sculpture that is meant to be viewed as a single piece yet contains a series of individual paintings. 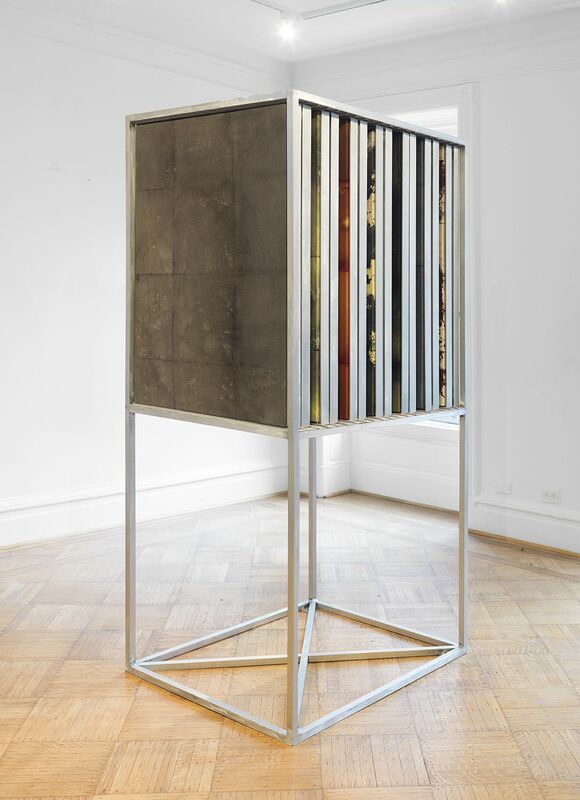 The exhibition’s title, 1X1, is based both on the standard size of tiles, which Levin uses to make the paintings, and on the sculpture’s interactive nature, where the paintings—which are stacked one after another, cheek-to-jowl—can be pulled out, one at a time, for viewing, and then pushed back in when the viewer is done. In school Levin studied architecture, and subsequently worked for a firm, where at one point he designed tile samples, and his work often deals with quintessentially architectural problems such as how we interact with space and form. In works like that on display in 1X1, Levin brings this architectural approach, as well as some of the field’s conceptual problems, to the realm of visual art. To create these paintings Levin makes tile “samples” by taking certain rectangular segments of linoleum tiles, into which he rubs oil pigments. After this, he dips a length of canvas in turpentine and places it over the tiles. The turpentine breaks down the pigment and stains the canvas. During this process, the grid of the tiles in the “sample” is also imprinted onto the canvas. The result is a length of monochrome canvas that contains the vagaries of the surface of the studio floor, as well as qualities that result from Levin’s interaction with his materials, and the canvas, in the act of making the work—a process both physical and chemical, and which is not unrelated to other similarly indexical procedures, like those employed in photography and woodblock printing. However, each work is always ultimately a unique expression of Levin’s aesthetic goals. This can be seen in how Levin then intuitively crops, stretches, and frames the length of canvas. 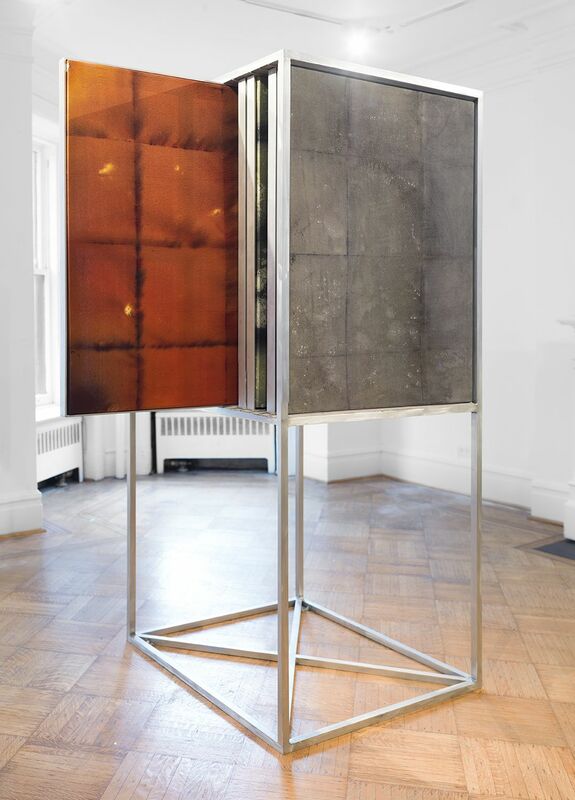 Levin’s specially designed floating steel frames act as an armature, both supporting and encasing the painting, behind whose surface they sit a quarter of an inch, projecting it out towards the viewer when it is hung on a wall. There it takes on something of a sculptural presence, almost as if a chunk of floor had been pulled out of the ground and put on display—a reference back to the process by which the paintings were made. 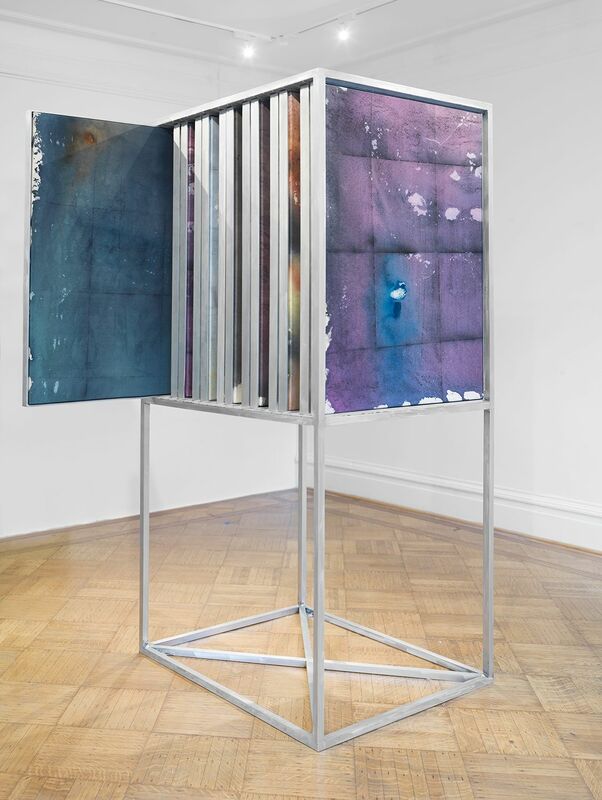 The frames also have a practical function, being used to slide the paintings in and out of the sculptural “painting cart” that Levin has fabricated for the show. 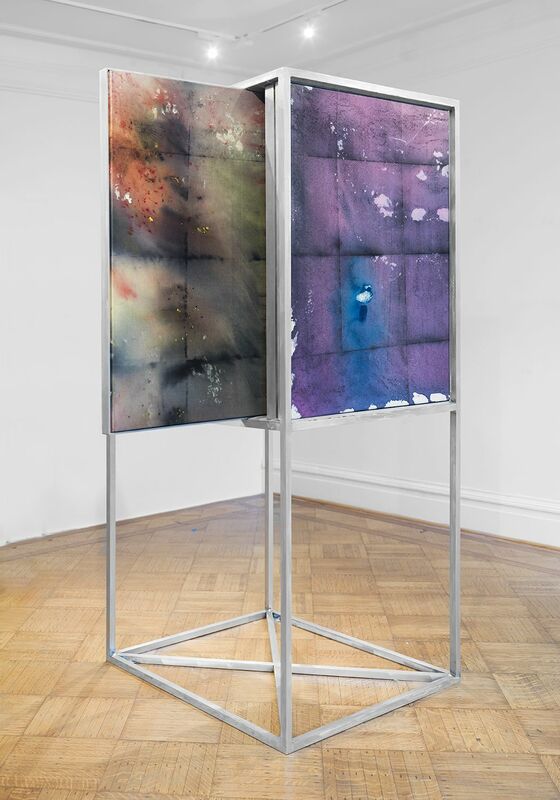 The frames allow the viewer to see a sliver of each painting’s surface color before they choose to pull one or another of them out to view. The viewing process thus engages each viewer’s interest in, or attraction to, the color of a given painting, much as how, in a store, he or she might go about picking one product over another. Born 1988 in Johannesburg, South Africa, Dean Levin grew up in Los Angeles. He attended Pratt Institute, and graduated with a BARCH in 2012, after which he worked as an architect for two years. This is his first solo exhibition. He will be included in upcoming shows at Roberts and Tilton in Los Angeles and Sean Kelly Gallery in New York.